Mars is cold, volcanic and dusty as hell. What would it be like for humans to live there? 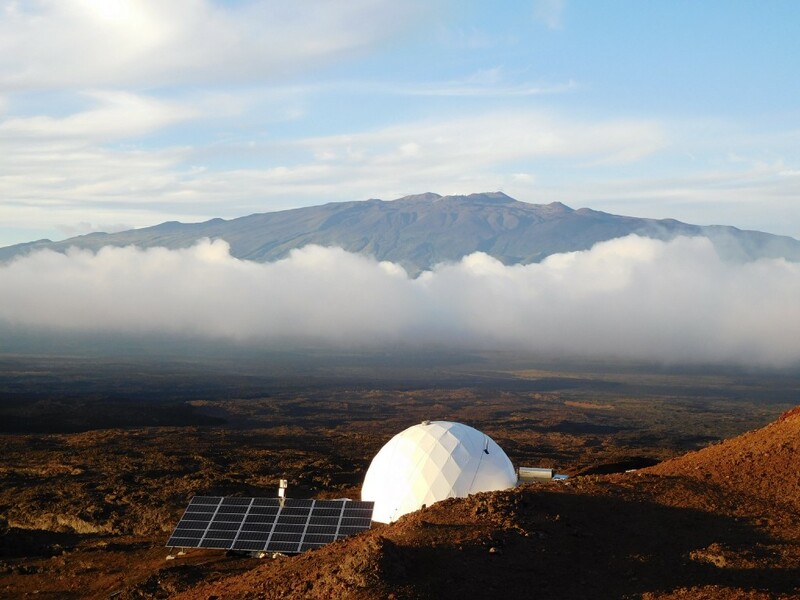 A team of six scientists tried to find out — by holing up for a year in a geodesic dome on the desolate slopes of Hawaii’s Mauna Loa volcano, as part of the NASA funded HI-SEAS (Hawai’i Space Exploration Analog and Simulation) mission. The purpose of the simulation was to determine what would be required to keep a space flight crew happy and healthy if we ever sent one to Mars. Carmel Johnston, the 28-year-old crew commander, opened up to MEL about her year in the dome. The simulation began once we entered the dome — around 3 p.m. on August 28, 2015. The two story geodesic dome consisted of a large main floor and a lofted second story. The main floor houses the kitchen, living room, biolab, and a bathroom with composting toilets and a shower. The second story is a semicircle divided into seven equal rooms: six bedrooms and one bathroom. The dome is only about 1,200 square feet, but the layout and lofted second floor made it feel much larger. It was designed to have much of the common space be multipurpose, which allowed us to do many activities with a single space. We started unpacking; someone started cooking. Our food consisted of freeze-dried meats and other food that would remain stable during a long-duration spaceflight. Another member of the crew started growing plants. Our garden was a mix of plants grown for experiments and for fun. We had a variety of vegetables: lettuce, chard, kale, radishes, beans, peas, tomatoes, sprouts, as well as lots of flowers for enjoyment. There were a couple different places around the dome that we grew plants, but the main goal was to grow plants in every available space with every available container. It took us nearly three days to realize that we’d been so busy getting everything prepared for the long stay that none of us had even thought to go outside. Obviously, at that point we could have just opened the hatch of the dome and walked outside — after all we were in Hawaii, not on Mars. But part of the exercise required that we suspend disbelief. It helped that in preparation for the mission, we’d never been to the site of the simulation beforehand. Which is why it wasn’t as difficult to pretend that we were on Mars and not on Earth. 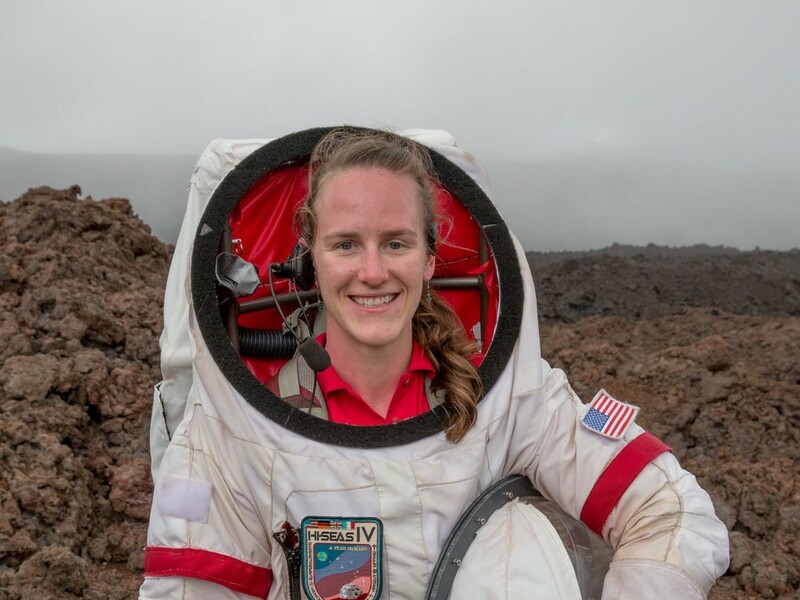 Putting on a spacesuit to explore the the slopes of the volcano quickly became routine, and we would go outside on EVA (extravehicular activity) two to four times a week depending on what we needed to do — including maintenance, collecting samples or exploring the area. I remember exiting the dome for the first time on the mission’s 10th day. Because we only had to wear the spacesuit once we were outside the dome and because we’d never walked around in them before, the whole thing felt really weird. The suit added about 50 pounds and since I couldn’t see clearly out the visor — everything was blurry. I couldn’t see my feet, which made it difficult to walk on the big lava rocks beneath me. Away from the dome, some of the surfaces were smooth and some were giant angular pieces of lava. The location itself used to be a lava rock quarry but because of the curve of the mountain that we were on, it basically looked like a field of rocks as far as the eye can see. During the first month in isolation we were so busy growing low-light-requiring plants, collecting data and exploring the landscape of the volcano in field studies that the whole thing was a complete blur. If I hadn’t kept a journal or had the emails back and forth between mission control and our crew, I’d have no recollection of what happened. I didn’t sleep much. I’m a bit of an insomniac to begin with and since I was worrying about things I slept even less. I’m a workaholic. In life at no point do I get bored. My friends know that if I’m bored it’s because I’m resting and that’s not normal for me. 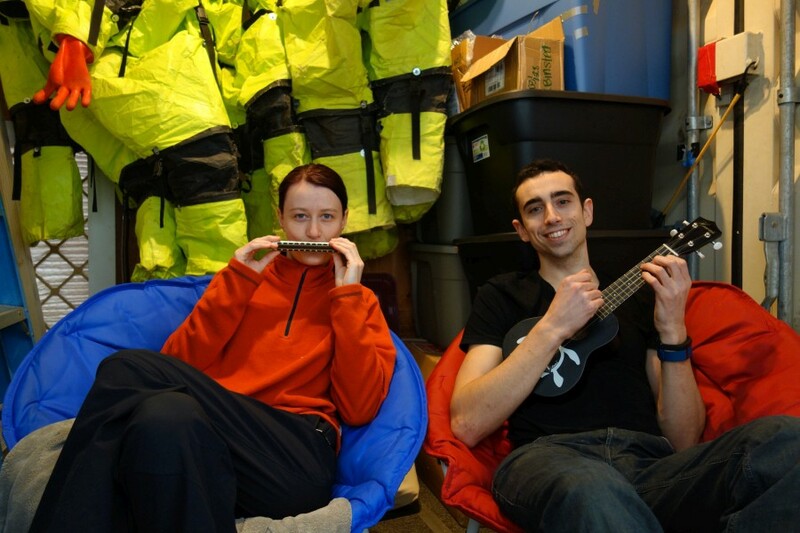 Two months into living in the dome, the rest of the crew basically told me that I had to stop working and that I had to take some time to play the ukulele I had brought with me. It took about three months for things to start slowing down and I could do more things that I wanted to do. The limitations of our method of communication with mission control were one of the biggest frustrations. As part of the simulation there was a 20-minute delay for messages to be sent. The problem with that was that by the time we would receive an answer to one of our messages, we had either fixed the problem on our own or moved on to something else. Beyond that there were definitely a fair number of high-stress moments between members of the crew. Most of the time, the arguments were petty and frivolous. But I can’t get into the specifics because that information is still being studied. Personally, I learned that how we react to things is our own choice. It’s easy to react naturally, but to understand that how you react is your doing—that, I think, makes all the difference. On the Wednesday before we came out of the dome, one of my fellow crew members, Christiane, and I were trying to figure out where we could go on our final EVA. We wanted to see all the parts of the volcano we hadn’t yet seen, and because of that we had to strategize to be efficient. We started our last adventure by sprinting out of the dome as fast as we could so that we could get as far as possible with the little time that we had. She and I had this relationship where because we both had a lot of field experience, we could practically read each other’s minds. Though there wasn’t anything truly dangerous about going outside as long as you are thoughtful about it, we spoke so little during our last EVA that the rest of our crew waiting in the dome had to remind us to talk more, just to make sure that we hadn’t fallen into a skylight—openings in the ground that lead into lava tubes. That day, we saw a bunch of skylights. During a volcanic eruption, lava tubes help drain lava from the volcano, but since the volcano was extinct, the rock had cooled and left a long cave-like channel. In some cases these lava tubes make up a network of tunnels underground. We ended up descending into one particular lava tube for so long that the sun had begun to go down and we were still quite a way from the dome. On our way back we hit a patch of crumbly cooled lava called a’a — it’s basically the most terrible, painful substance. The surface is made up of loose, broken, sharp and spiny lava that has cooled over time. Which is why it took us longer to hike back to camp. Once we got back, it was dark, and when we finally looked up, the stars were popping out. At that elevation they were so clear. I have to say the thing that I missed most while in isolation was avocados. We cooked a ton of great meals from our limited resources—chicken marsala, lasagna and endless amounts of ice cream—but nothing could replace the avocado. That, and running in a straight line outside without having to wear a spacesuit — I hate treadmills. As for whether I’d go to Mars in the future, who knows. Of course, I’d love to go, and I know the technology is getting better every day. But right now, they can only get a crew to Mars, and as exciting as that might be, make no mistake about it: I signed up for a trip to and from Hawaii. — Carmel Johnston, as told to Andrew Fiouzi.